Arrivé aujourd’hui, avec d’autres goodies pour mes loustics. A mettre sur ma toujours grandissante PàL (Pile à Lire). The word “shaman” means “the one who sees in the dark.” To practice shamanism is to open your vision to a world that is hidden from normal view so that you may enter the deeper reality of the unseen universe. 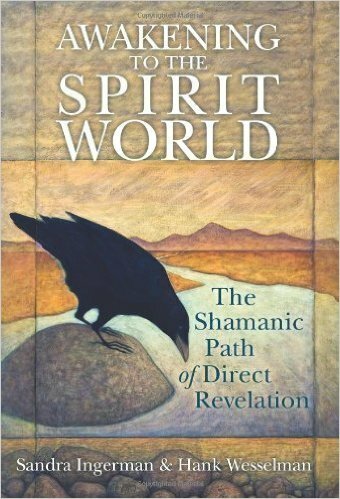 With Awakening to the Spirit World, teachers Sandra Ingerman and Hank Wesselman join a circle of renowned Western shamanic elders to present a comprehensive manual on the oldest and most reliable human technology for accessing the realms of spirit. Cette entrée a été publiée dans Carnet de Lectures et étiqueté chamanisme, Hank Wesselman, Sandra Ingerman . Marquer le permalien .